Famed British manufacturer Lola will be the featured marque at next year's Historic Sportscar Racing (HSR) Classic Daytona presented by IMSA, the classic 24-hour race at Daytona International Speedway (DIS) that will be run for the fifth time November 13 - 17, 2019. Lola will be in the spotlight at next year's HSR Classic Daytona presented by IMSA 50 years after Mark Donohue and Chuck Parsons co-drove the No. 6 Chevrolet-powered Sunoco Team Penske Lola T70 to the overall victory in the 1969 Rolex 24 At Daytona. The 1969 winner (No. 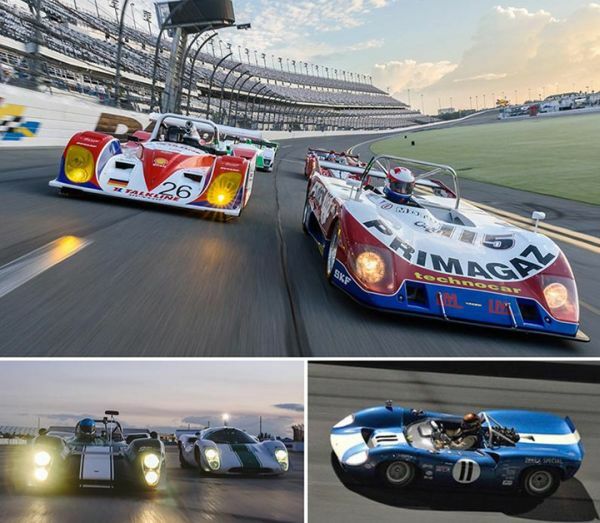 6 pictured above) is expected to be among the participating Lolas at next year's HSR Classic Daytona presented by IMSA along with a solid entry of similar generations T70 coupes and spyders, on up to more recently retired Lola racing machinery from the last few decades. 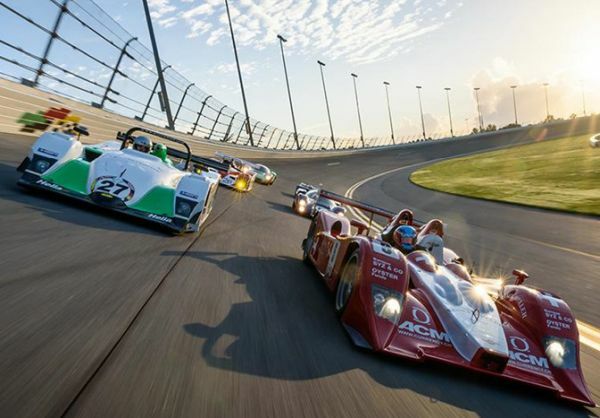 "Lola has been a major part of sports car racing history for the last 50 years and will be the ideal featured marque at the 2019 HSR Classic Daytona presented by IMSA," said HSR President David Hinton. "We have seen a great showing of Lolas from all over the world for our HSR Classic Daytona events and expect 2019's feature status to bring even more entries to the classic 24-hour race next year. In addition to the on-track schedule, our early 2019 plans also call for some off-track and behind-the-scenes promotional events showcasing the Lolas. We are already looking forward to it." Always well represented on "HSR Classics" at Daytona and Sebring entry lists, Lolas participating in last month's fourth running of the HSR Classic Daytona included several 1966 through1970 T70 models, a 1969 T165 Can-Am car, 1973 T294 sports racer, 1989 Lola T89/90 Sports 2000, 1999 Lola B98/10 LMP1, 2000 Judd-powered Lola B07/18 LMP1 and several late-1990s and early-2000 era Lola B2K/40 SRPII cars. Lolas have been highly successful in the HSR Classic Daytona, including a Group A win last month by Jim Cullen and Frank Beck in the Olthoff Racing 1968 No. 101 Lola T70. The victory was the second-consecutive and third time in the four runnings of the Classic 24-Hour race that a Lola was driven to victory in Group A. The 1969 Lola T70 of Gerard Lopez and Frantz Wallenborn, which was brought to Daytona by the Iconic Racing team from Europe, won Group A in 2017 while Marc Devis and Christian Traber took the group win in the inaugural 2014 HSR Classic Daytona in a 1966 Lola T70 Spyder. The 2014 event saw Lolas driven to victory in two different HSR Classic Daytona divisions. The Devis and Traber Group A victory was followed by a Group D win by John Reisman and his father Paul Reisman in a 2002 Lola B2K/40 from Hudson Historics. 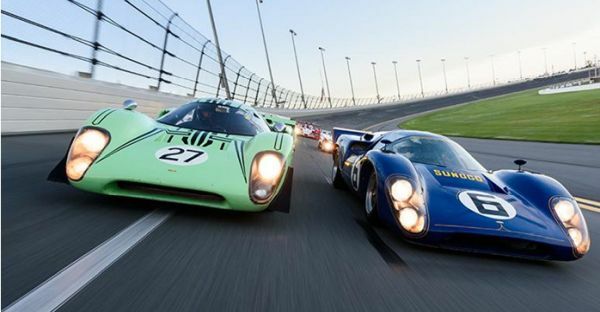 Also featuring the HSR Daytona Historics, the 2019 HSR Classic Daytona presented by IMSA weekend at Daytona International Speedway is scheduled for November 13 - 17, 2019. Next up for HSR is 2019's season-opening event at Sebring International Raceway, March 28 - 31, for the all-new HSR Spring Fling Weekend. About HSR: Historic Sportscar Racing (HSR) was formed in the mid-1970s with an event at Road Atlanta. There was one goal then and it remains true today: to celebrate the race cars from the past. As a "time machine" of sights and sounds, HSR provides a venue for competitors and spectators alike to share in the wonderful history and excitement created by the cars that competed at race tracks around the world. HSR currently sanctions eight vintage and historic racing events at some of the world's most renowned race tracks, including Road Atlanta, Sebring International Raceway, Daytona International Speedway and more. The complete schedule and full event information can be found on HSR's website at www.HSRRace.com. Look for the HSR Channel on YouTube and follow HSR on Facebook a www.Facebook.com/HSRrace/ and on Twitter and Instagram at @HSR_race.